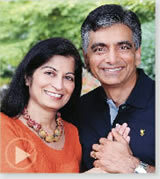 Jain learned important lessons as a patient. Jessica Thomas was 20 when the first melanoma appeared. 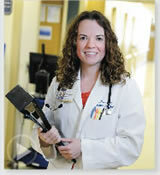 Three surgeries later, the Emory nurse practitioner shares the lessons she learned as a patient. 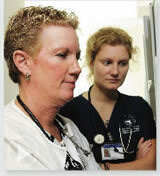 Emory nurse Kelly Shelby had just married when she was diagnosed with ovarian cancer. What did she learn as a patient? Return to main article, "Trading Places"